Due to an unparalleled commitment to providing outstanding customer service as a San Antonio Realtor assisting with Boerne home sales and Helotes property purchases, many satisfied real estate customers have submitted letters of thanks and some greatly appreciated reviews regarding my Bexar County real estate services. determination and resourcefulness in helping us achieve them. which had previously become laborious and disheartening, into a speedy and joyful process. wishing to buy or sell a home in the San Antonio area. Thank you Denise for all that you did to help my husband and I find our perfect home. You made our home buying experience a positive and exciting journey. Your patience and support has been greatly appreciated. It was a pleasure to work with you and again, thank you so much! Fall of 2012 we began our search for a home. We were completely new to the process as graduate school and work transitions had necessitated we move on a pretty regular basis. Now we were ready to settle and a change meeting with someone who had recently become a new home owner led us to Denise. I can honestly say we were delighted in the professionalism, integrity, honesty, and abundant patience Denise displayed throughout the process. We had some very specific ideas of what we wanted (a big, open kitchen, a big backyard, a small price, in a very up-price neighborhood) and sometimes we disagreed in the amount of work we were willing to put into remodeling. Weekend after weekend we searched and none were quite right…and then…the absolutely perfect one! In less than 40 days we placed our bid, got everything we asked for and some bonuses, were approved, and were handed the keys. We are overjoyed and had we known it would be this easy and gainful we would have taken the plunge sooner…but only with Denise! She consistently provided us with accurate information, kept us updated on status of homes and our bid, helped us sort through our many questions and confusion, and was genuine in her interest to find the best of options for us. Always going the extra mile for us; months after we moved into our home she was present at our house blessing. I never tire of saying thank you Denise for all you did, we are so happy in our perfect home! We are writing to express our complete satisfaction with Denise Martinez as our Preferred Realtor. Denise has helped us when being both the buyers and the sellers. Throughout both processes Denise was not only extremely professional, but she was also very conscientious and motivated. We always felt like we were her only client. Being new to the process of buying and selling, Denise always made us feel at ease and offered all of the information needed for us to make the best and most informed decisions. When we were ready to put our home out on the market Denise was extremely helpful in marketing our home and worked diligently at getting us the best offer. In under a week we had multiple offers and Denise helped us get exactly where we wanted to be. She is a definite asset to your association. We have already expressed our loyalty to her and we plan to use her services again in the near future. We would be delighted to answer any questions or further discuss her first in class performance. and professionalism of our unique situation was truly amazing. I am are writing to express our pleasure with real estate agent Denise Martinez, who represented us in our recent purchase of land in January of 2015, and the sale of our home in September 2014. Denise Martinez guided us through the entire buying and selling process, from loan pre-qualification, to searching for lots and land, to making the offer and closing the deal. I credit Denise Martinez with a smooth, stress-free home-selling and land buying experience. She is very knowledgeable in all aspects of real-estate and was helpful in answering all of my questions, and addressing any of our concerns. This was our first time to sell a home and to purchase land, and never had we had such a pleasurable experience. Denise Martinez is savvy, personable, and knows the market inside and out. She had our home on the market the same day we met with her and it was sold three days later for above asking price. We never could have gotten done this without her, and could not have been more pleased with her services. To reiterate, we are nothing but happy with Denise Martinez and her expertise and we recommend her to everyone. She will defiantly be who we use in our future real-estate dealings. We would highly recommend Denise Martinez to anyone looking for a real estate agent. She is professional, knowledgeable, very hard working, and all around a great person. But then Denise came along and she was amazing. From the very beginning she was up front and honest about everything. She explained every step of the way in detail and took the time to get to know us and what we wanted. We were definitely not the ideal clients; we changed our minds more than a few times on which house we wanted, where we wanted to live and even went back and forth on how much we wanted to spend. Denise was very patient with us. She kept up with the changes and was always very positive and professional. We also had the added difficulty of being out of state. This really did not slow the process down however, Denise was always easy to get in touch with and addressed our questions and concerns quickly, professionally, and thoroughly. She also visited houses for us and took pictures and videos. This is where her honesty really made a difference for us, instead of making the houses look better than they were just to make a sale move on, Denise gave us pictures of the good and the bad, making sure that we knew if there were any issues so that we could make a good decision. We could not have been happier working with Denise and we wish had found her the first time around. 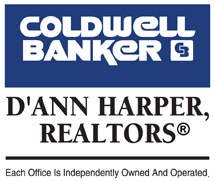 I am writing to express my complete satisfaction with my Coldwell Realtor, Denise Martínez. She made the entire home buying process a memorable experience. Denise is highly personable, honest and motivated to meet her clients' needs. I was extremely apprehensive about my first home buying venture. I had heard so many horror stories from others about the home buying process and needless to say, I was not looking forward to it. Denise made the process so easy. She took my specific needs and budgetary limitations to the next level. Not only did she keep up with my requests but she also kept me informed with “the next steps". She walked me through the entire process, "Big-Bird Style". I felt completely comfortable & confident in her knowledge and expertise. Denise was extremely helpful, patient and highly attentive. I preferred text communication, as I work a lot of overtime, and Denise would always respond quickly. I never felt neglected or unimportant. She was also conscientious about my needs as a homeowner. Even after "closing” she offered her outstanding advice on having the locks changed to ensure extra security. As a single mom, this was very much appreciated, that she went out of her way, to make sure this was on my mind. Thanks to Denise Martínez, my first nerve-wracking, home-buying, negotiation was a wonderful success! I would be delighted to recommend Denise Martínez as a real estate agent, to anyone looking too purchase a home! This section is designed to give you some ideas of the level of service that I can provide as a San Antonio Realtor. Receiving thanks from clients who have had successful real estate purchases is largely due to the fact that I always assess the needs of my real estate clients and provide them with a level of service that is second to none whether that be for a Alamo Heights house or New Braunfels property.